The 14th edition of the largest international festival of theater and stage design will take place from June 6 to 16, 2019 at Výstaviště Praha (Prague Exhibition Grounds). Over the course of eleven days, representatives of 79 countries will present at Prague Quadrennial, with over 800 artists from around the world, and over 600 performances, workshops and lectures. Special guests at this year’s festival include illustrator Olivia Lomenech Gill, Italian opera director and scenographer Stefano Poda, and audiovisual artist Romain Tardy. Three thematic areas of interest are interwoven throughout the entire PQ program: Imagination, Transformation, and Memory. PQ presents three competitive exhibition sections: Exhibition of Countries and Regions, Student Exhibition,and Performance Space Architecture Exhibition. There will also be performative projects in public spaces – Formations and Site Specific Performance Festival. Fragments presents iconic objects and artifacts. The 36Q° audiovisual project will take over the Malá sportovní hala (Small Sports Hall). Studio PQ showcases the work of emerging young artists. PQ Talks features lectures and discussions with the stars of world theatre and scenography. There will also be the PQ Youth and Family program. The gala opening will take place on June 5 at Výstaviště Praha (Prague Exhibition Grounds). 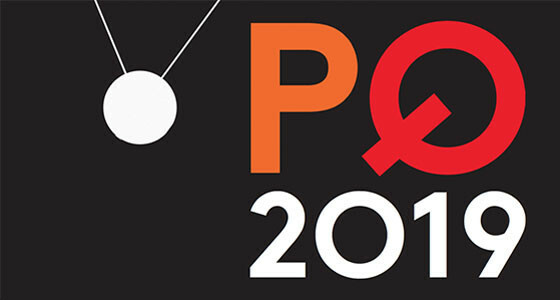 “PQ is a gathering place – it brings together the international community of scenographers, directors, students, and artists, as well as visitors from around the world who, throughout the 11 days of the festival, will experience the contemporary world through the lens of stage design together. ‛Perception’ is key this year. We want to show that a scenography display does not have to be a mere exhibition of objects. Thanks to human creativity and fantasy, scenography enables us to experience unique moments,” says PQ 2019 artistic director Markéta Fantová. Among the stars of this year’s festival is illustrator Olivia Lomenech Gill, who gained fame for her illustrations for J.K. Rowling’s book Fantastic Beasts and Where to Find Them, 2017. As part of PQ Talks, she will present her works and will even offer a lecture designed specifically for younger visitors. French visual artist Romain Tardy, known as the founder of the visual art group ANTIVJ, is the artistic director of the audiovisual section of 36Q°. He has coordinated a group of renowned artists from various fields – from music to VR technology to lighting design. The core of the project will be the installation Blue Hour – an experimental, interactive environment that fills the Malá sportovní hala (Small Sports Hall) at Výstaviště Praha (Prague Exhibition Grounds). Another important guest is famous opera director, costume designer, and choreographer Stefano Poda. Prominent costume designer Fruzsina Nagy, who presented her work during PQ 2011 in the Extreme Costume project, will also join us this year, co-curator of the project a team of curators - lectures for children's visitors (Small Sports Hall) Romain Tardy.